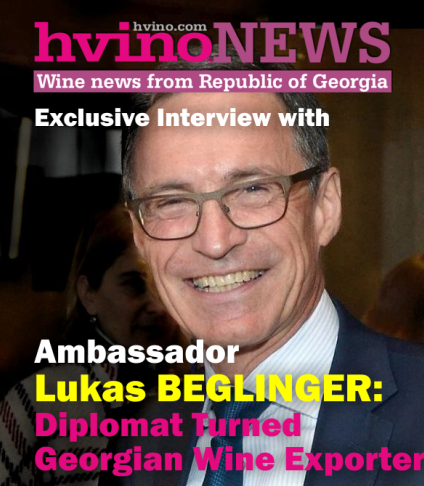 Hvino News | Georgian Wine News: Andro BARNOVI: "I chose to go close to the soil and the Sun"
The transition you mention was maturing for about a year. 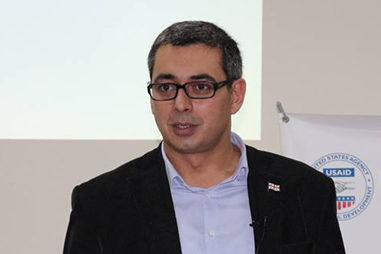 As an insider of Georgian politics, I had enough information depth to visualize forthcoming years and was quite sure everything would evolve as it does right now. I didn’t see any force to change this dynamics for years. These are bad times, a bad phase of politics, when people are fed up of changes and they don’t support daring politicians. Political teams break, everyone’s up for personal survival, really very sad times… times when only hollow populists flourish. I nevertheless had energetic attempts to gather people around and push a change but that was against the currents of the time, destined for failure. Finally, I stayed literally alone in the realm of disoriented party. Yes I had some decent positions but everything became so showy and ornamental. Meaning was lost. What could I create of my loud lamenting from high chairs when nobody, not even my own party members were ready for joint action? The party lost some very important people and continues to lose them. This situation holds up till now by the way, and only deteriorates over time. "Current incompetent and irresponsible government is our ugly baby. We need to overcome this very sad situation, but it won’t be fast and easy." So finally I found myself in a total chaos which would certainly last for many years and had do decide what to do with myself. I chose to move out completely, to freeze my political image at where I was, and just to pull myself out of the situation I really hated. I chose to go close to the soil and the Sun. This is excellent locus to meditate about future, gather internal forces and reestablish harmony with yourself. And then, winemaking does not allow you to slack your grip, it keeps you in shape, full of thoughts and care. You drop a seed, you grow, you care, and you admire and enjoy the results. And of course you smile with satisfaction as a biblical god who created the universe and liked it (smiles). AK: Thank you for sharing this - indeed that’s quite a motivation. How did your wine project further evolve, and how would you characterize your current standing as a winemaker? Which your wines would you like to specially mention? AB: As every lasting thing, it evolved gradually. First I thought to continue with education projects, wander throughout the country and give public lections, but also wanted to have a small wine cellar and make some excellent wines. Then the wine project swallowed all of my time. The cellars got bigger and nicer, the vineyards grew to hectares, and my attitude towards winemaking grew from hobby to full time occupation. Now it is even an association of natural wine, called “Wine Artisans”. As a winemaker, I identify as an informed naturalist, focused on soil and cellar conditions for magical process of vinification, and fully dependent on wild yeasts and manic hygiene. Over the course of these years, we did have some outstanding wines in our cellars. These were Tavkveri 2015 and 2016 vintages, Khidistauri Rose 2016, Khashmis Saperavi 2017, Uroebis Rkatsiteli 2017, etc. 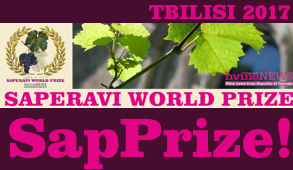 We have very interesting but still very young Tavkveri and Shavkapito 2018 now, as well as Khidistauri and Uroebis Rkatsiteli 2018, and Tchkapa 2018, which really stands out because it is such an unknown variet, and it is so unbelievably good wine! An interesting thing about our wines is that we’ve almost never sold them yet. Of course, guests try them here in the cellars but we do not hurry to convert every bottle into money. Wine needs time to settle and we allow that time. I need to be one hundred percent sure about the quality of my wine, and need to have it tested in time to let it leave the walls of the cellar. This kind of attitude, I believe, is immensely important for all honest winemakers, this is what creates fame for Georgian wine over time and makes this country a true wine paradise, not just a history freak. There is just no way that we sell, for instance, a white wine the same year vintage! I mean, this is real crime in terms of winemaking. Or, let’s say, a red wine, which is less than 2 year old! This is just not acceptable because you kill the potential these wines develop if you just let them be for a while. Of course I try to avoid this happening in my cellar. 2019 will be the first year for Wine Artisans to launch some limited sales. 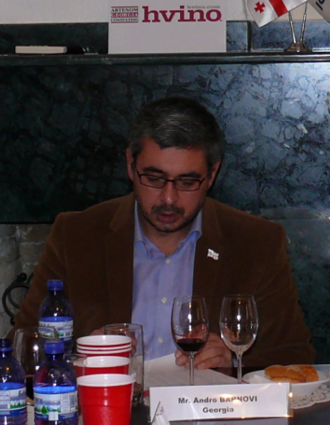 AK: Is it true that you are also working quite a lot with other natural winemakers? Is this a part of community work, or some kind of grass root movement? AB: I’d say it’s more like grassroots movement, although we have a shape of an organization which I mentioned, and we do help our fellow members with advice, branding, marketing, and the like. We keep in touch with each other and share experience, ask advice, and of course share wine! We always welcome guests to each other’s cellars because it never gets into aimless drinking. We are business people of very special kind: we serve wine and every our exchange serves to that exact purpose to have purer, better, more interesting and longer lasting wines. 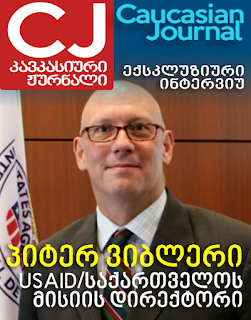 AK: What problems Georgia has to overcome to be more successful at the world market? AB: To discuss this, we need to distinguish industrial winemaking from a natural one. Of course, industrial winemaking is important, it’s an important part of the economy. But it is next to impossible that industrial winemaking creates any decisive recognition for the country. Small wine cellars that make exceptional natural wines have always been key drivers of wine identity in any wine producing society. Georgia’s case won’t be unique in that regard. We have certain progress in this domain, even a boom of small cellars’ development but today this is more like fashionista movement than something necessarily associated with qualitative change. Unfortunately, there is little research, little study of the varieties, often times there are hundreds of clones of the same variety and a grower finds it impossible to identify the best ones. As a result, lots of investments are shed in vain, without any sensible input to the domain’s development. Another problem is a kvevri problem. 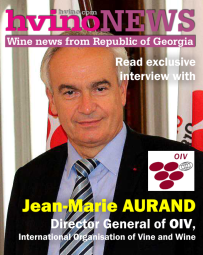 On one hand, kvevri has made Georgia exceptional destination in wine world and would be logical to think that its manufacturing is taken a good care of from private and public sector – from each in its competence. But the reality is quite the opposite. It is huge shame that only very few manufacturers today can reach desired quality of kvevri. Our German friends undertook significant research with significant findings regarding kvevri making technology, but sizeable investments are needed to embody those findings in real business while nobody does it because there is no control and no alternative around. There is also no kvevri schooling, there is also very little innovation in terms of kvevri care etc. - problems are more than enough, and they finally affect the quality of wine. Lack of knowledge and information is another challenge. Only a handful of good books are available in Georgian. Original research is brought to none, and translations are also very rare. We have done some work in this regard but this is not sufficient. We need both popular and hard-core scientific literature to raise wine culture among producers and consumers. Consumer culture is of course the prime driver of everything else so we need to supply that culture in many ways. But we must remember that knowledge is essential and we can look at Bordeaux case as an example of knowledge-driven wine paradise. 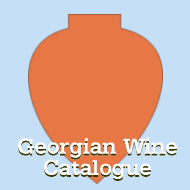 If we fail to raise the level of winemaking in relatively short time then and the wine world’s interest to Georgia, which is now driven mainly by history and our varietal richness, will shortly wane. Of course, I believe our real potential is much different from what I just described but we have this challenge and we need to face it. AK: You are living in central Georgia, far from the traditional heartland of winemaking in Kakheti region. Is it more challenging to work there? What are the specifics of local winemaking? AB: It is wide-spread erroneous judgment that Kakheti is an only traditional heartland of Georgian winemaking. History says something very different about this. 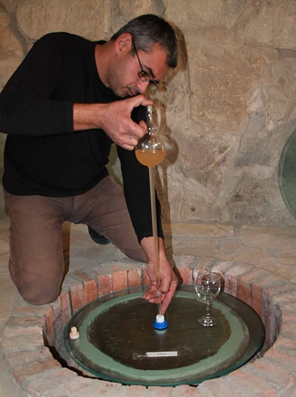 Georgian kings, several foreign travelers and many other enthusiasts in history have described wines from various Georgian regions and nowhere you find mentioning Kakheti as something outstanding in terms of winemaking. Of course, I admire traditional Kakhetian varieties and I believe they are some of the very best in the country but other regions also possess extremely interesting wines and this already becomes visible with the revival of winemaking now. I believe the reason why Kakheti became the most renowned winemaking region is a vast Alazani Valley and Communists with their focus on mass production. Not only most vineyards were developed in Kakheti but also most vineyards were eliminated in other areas. If you take Kartli as an example, you find ancient abandoned cellars everywhere, monumental, serious cellars, but there are no vineyards any more. This is the case for many other regions but fortunately we are getting back to normal Georgian way of living which here means good wine and vineyards everywhere, high consumer culture and very diversified production. Independence will sort it all out, we just need some more time. Kartli is not only home to largest number of grapes among Georgia’s regions (there are over one hundred indigenous varieties counted which is 20% of all Georgian varieties), but also known for the best wines – the “Royal Wines” as they were termed in history. 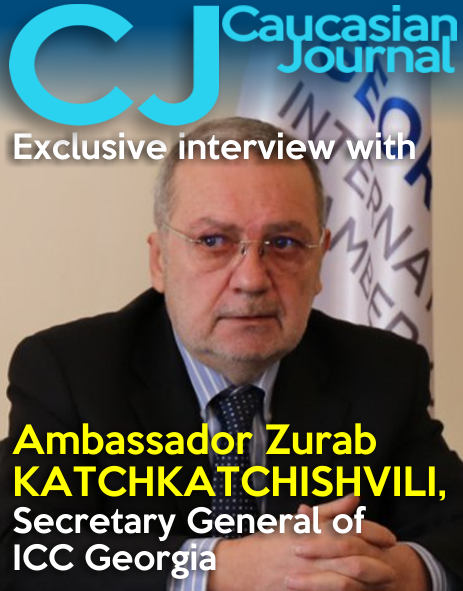 Also, Kartli has been the political and cultural center of the country and is adjacent to the capital. In principle, this is the most convenient touristic destination and it is a shame that only very recently it has started to develop in this direction. I really feel proud to have once played a role in kicking in the stagnated situation. 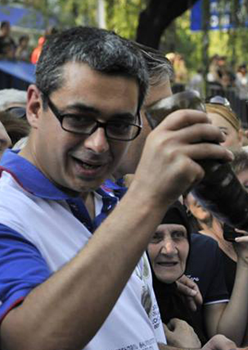 AK: That’s right - some time ago you managed Shida Kartli as a Governor. This is rather unique experience. How does it feel to work as a single winemaker in the region, which had been once under your direct administration? AB: This feels like blessing. It helps a lot that I know the region, know people, and people know me. And people enjoy seeing former governor working side by side, just as I enjoy my identity without some chairs and extra names. In a word, I feel home here, among many friends. AK: Let’s assume your political party remained in power. Would you have rather stayed in politics, and “Wine Artisans” would never come into being? AB: Actually, several natural wine associations were born because I supported these movements everywhere, while in politics. Starting from 2013, we managed to organize such movements in Racha and Lechkhumi, Imereti, Samegrelo and Samtskhe, Kartli and Kakheti. Some continued successfully afterwards, some – not so much. We were the initiators of regional wine fests everywhere, published some very significant literature in the field, conducted workshops, seminars, and invited enologists to regions to meet local winemakers and share their knowledge and experience. We brought down the first walls of stagnation and I believe, we did a lot to help situation change. My personal passion in the field – not as winemaker but as someone helping the industry development – starts from 2008 when I authored a vast program for small wine cellars’ and wine tourism development in the country, but then the war happened and I went back to my traditional field, which is defense and security. Only after five years, in 2013, I felt an opportunity to get back to winemakers, and from 2016 became one of them myself. AK: Can we continue this theme, and talk more about your experience as political figure? I think there is a lot you can tell, from your remarkably wide perspective. AB: The third generation of politicians I belong to stood out with strong vision and competent team, but we nevertheless lost in numbers… we needed more competent and visionary people to carry those strong visions properly and deliver better results to our population. We needed much closer links to our population, much better self-governance on every level, much better education system and much more coherent and articulate goals. We needed consensus in the society about those goals and a trust of our people that we do everything possible to make those goals real. Instead, we had too many incompetent people around, and the team’s vision was based on fast changes even at the expense of regularly weakening legitimacy. Some say yes – fast changes were an excuse but look now – we have already lost seven years and will waste a few more. So in the end, it is not Ivanishvili but primarily our mistakes that backfired. Current incompetent and irresponsible government is our ugly baby. We need to somehow overcome this very sad situation, but it won’t be fast and easy. AK: Are you still engaged in political work, or do you plan so in future? AB: Today I’m all in winemaking, but I am also always ready to get up and step in, as soon as I feel the situation demands my input. But it is also true that I’ll never abandon winemaking. It is already in the blood. My ambition is to set some positive example in the field. Wine gods will help, and I’ll do it (smiles). AK: According to a common cliché, a typical Georgian is a jovial character who enjoys hospitality and makes own wine. How would you comment this, and which characteristic features would you point out? AB: Typical Georgian is an artistic character. Every other description should be viewed through this prism. Our history, combined with strong urge for survival, decided that a love for life, and at the same time internal realization of conditionality of life vis-à-vis death and destruction make Georgians ever-reviving joyful human beings. And of course, wine is the main device carrying us through and making strong survivors, just like we are. AK: Thank you so much for very insightful answers.